When this Grandma was a child, I remember hearing about how some would mark their signature with an X because they could not read or write. Having a unique cursive signature was important when I was a child, and even in my adulthood. I went to my go to source, Wikipedia, for more information about the importance of a signature. Have we Boomer grandparents become the “traditional” voice of the past? That, I do not even want to touch. But, what I do know is that we are seeing a radical change in our children’s education based on the radical changes in how we do business. Computer signatures are now signatures, as people use electronic devices and do not write anymore. Schools are changing curriculum leaving out cursive writing usually taught beginning in the third grade, but are they doing the best for our grandchildren? We grandparents should know that cursive writing is no longer being taught to the majority our grandchildren in their schools! What our grandchildren may never know is signing a credit card receipt with a signature. 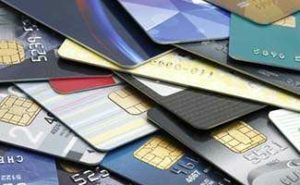 Credit card companies decided in 2018 that retailers in the U.S. and Canada may no longer require cardholder signatures for in-store credit and debit purchases, saying their fraud capabilities are so advanced this is no longer necessary. See, “No Signature Needed: How Credit Card Transactions Are Changing,” where you can learn more specifics at this link. What our grandchildren may never know is signing a check, or knowing what a check is. What our grandchildren may never know is how to write their own signature in cursive, unless we grandparents take matters into our own hand with pen! Each of our grandchildren will be interested in having their own unique signature when we tell them how we created our own and practiced and how our own signature changed over time and circumstances. We can create the interest or we can respond when our grandchildren when they show an interest. It is really just another art project, but one that will carry the grandchild throughout his or her life. I am a very lucky grandmother. My two oldest grandchildren are old enough to have been taught cursive. My eleven year old grandson asked me to teach him to write his name in cursive, to create a signature, as he is not learning cursive in school. Fortunately, I had been an elementary school teacher and taught the Palmer method, an easy form of cursive writing. I knew to limit what I wanted to teach him (how to write all the cursive letters, lower and upper case) to only his signature, and how to help him create his own unique signature. I looked up the Palmer method on line. After all, I taught it over half a century ago. OMG! The amount of time that has gone by is always a shocker. I found a website on the Palmer method. I found out it has been the most popular method in the United States. There is an on line tutorial. Use the one to teach children for yourself. Do not teach your grandchild the Palmer Method from scratch. Remember, again, the interest will likely be in having one’s own unique signature. So, grandparents, do your own homework. Take the letters of your grandchild’s first and last names and you learn how to write his or her signature in the Palmer method, which is how you learned to write cursive. Here is how, after you buy lined paper for learning cursive. You only need two or three capital letters. Learn how to make them individually. You may want to make several copies of the individual pages of the specific letters you need from the workbooks for practice. You need all other letters in lower case. Learn how to make them individually. You may want to make several copies of the individual pages of the specific letters you need from the workbooks for practice. Learn what I call the connectors! To get the letters together in one fluid movement, there are connectors. The letters connect on the top or on the bottom. Write the signature without connecting all the letters. Notice whether to connect to the next letter, the connector is on the top or the bottom. Practice your grandchild’s signature with the connectors. Now you are ready to repeat one to four with your grandchild. Remember to make it an art project, which it really is. It is drawing individual art pieces (each individual letter) in one stroke. It is then learning the strokes necessary to connect each art piece. Finally, it is practice of fluidity of the drawing, to keep going until the end of first name, then the middle name and finally the last name. Hopefully, your grandchild does not have 27 letters in his or her name, as our daughter did growing up. Remember, practice makes perfect, or in this case, a unique signature for your grandchild that does not look like your practice of your grandchild’s signature, but his or hers. Show how his or her signature drawing is different than yours of his or her name, and emphasize how no one else will have the same exact cursive signature that he or she does. When he or she finds one signature he or she likes, go over it in permanent ink and have your grandchild use it as a template for practice on the cursive writing paper, tracing over it often at different times, and then using the lined paper for learning cursive for practice. Your grandchild will love this and appreciate the patience and effort it takes to help them create their own unique cursive signature, their cursive signature. They will practice when you are unaware. Tell them their signature will change over time and give them a folder to keep their signature “art” in. What else can we grandparents do, while teaching your grandchild his or her signature or anytime? Make an actual work of art with the practice signatures. Buy different colored pencils or water markers for the grandchild to practice his signature. Cut each of them out. Buy a shadow box frame that includes stick pins on Amazon. Have the grandchild create a “signature” art piece with the practice signatures in different colors to keep in his and her room. Learn and share the history of the signature. See this brief timeline (with pictures for the grandchildren) from a website called DocuSign and also learn what DocuSign is! In the history of mankind, it was not until 1677 when the English government created the Statute of Frauds, that signatures were required on documents to make them legally valid. Then, in 2000, the United States passed a law that ensured the legally binding power and validity of eSignatures. You can explain to your grandchild why a signature is also called a “John Hancock” in the United States. Our grandchildren may never be able to read the cursive Declaration of Independence, and that means so much to this naturalized citizen! See the website on the National Archives. Most of the children visiting, and viewing the Declaration of Independence cannot read it, according to the director, in “Sign O’ the Times: Is the Handwritten Signature Dead?” by Gerit Quealyapr, April 18, 2014. If your grandchild around ten or older has not asked you to help them create their own individual cursive signature, suggest it, but be prepared as above. Did this over-the-top Grandma stop with his signature? Of course, not. I demystified cursive by just showing it was drawing and art and wanted to expose him to more. I purchased Kumon workbooks for learning all of the cursive letters on Amazon. It is an inexpensive investment. Kumon My First Book of Upper Case Letters. Buy at Amazon. Kumon My First Book of Lowercase Letters. Buy at Amazon. The number one best seller on Amazon is one workbook which actually starts with the connectors. “Cursive Handwriting Workbook for Kids: Beginning Cursive. I left the workbooks in the “art” folder. After all, the interest must be there to learn more than just the signature. Yes, to this Grandmother, a grandchild having his or her unique signature is enough in this day and age. They will know how to add it to all of their electronic devices, even if we grandparents do not. Or, is history repeating itself and the thumbprint, or eye or face scan forever more the future of the “person’s uniquely personal, undeniable self-identification.” I want my grandchildren to know the beauty of having a cursive signature for that too!